Dr Dawson graduated from Melbourne University in 1979 and completed her post-graduate fellowship in General Practice (F.R.A.C.G.P.) in 1987. She worked in rural practice in Gippsland for 10 years before returning to Melbourne in 1994. In the country, her primary areas of interest were paediatrics and Women’s Health. Since joining Carnegie Medical centre in 2005, she has continued with her interest in Women’s Health including gynaecology, menopause management and family planning but not exclusively, as she also continues to manage the multitude of conditions that present daily, in a busy general practice. 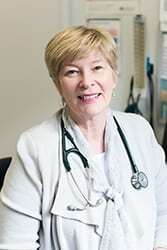 Margaret has always had an interest in medical education and has taught medical students both in the practice and at Melbourne University Medical School. 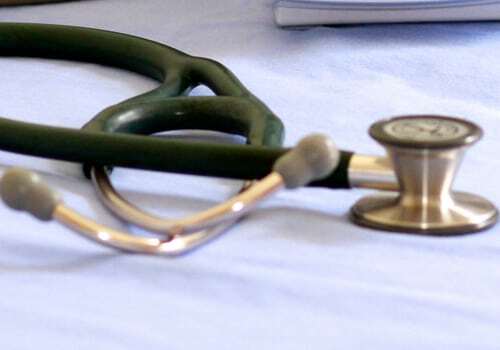 She has, over the years, been heavily involved in various aspects of training doctors for the Royal Australian College of General Practice, including censor, examiner and supervisor. Outside of work, Margaret enjoys reading, sewing, knitting, walking the family dog “Rosie” and tending the orchard in Buxton.